Ranthambore National Park is one of the largest and renowned national parks situated in Sawai Madhopur district of Southeastern Rajasthan. It is one of the largest tiger reserves in terms of the wide area in which this life spread. If the historic tales are to be believed the Ranthambore National Park was the former hunting grounds of the Maharajas of Jaipur. Presently the park is a prominent wildlife tourist attraction spot which has caught the attention of many wildlife lovers and photographers. It is said the one might be unlucky if he doesn’t spots a tiger inside this wildlife reserve since Ranthambore National Park boasts of being home to a good population of big cats. 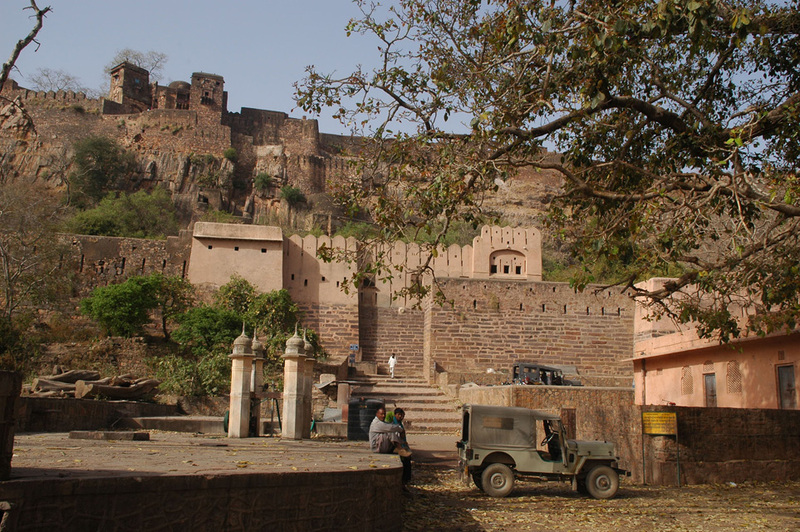 At the center of the park, Ranthambore Fort is present which was commissioned in the 10th century. The other prime attractions present inside the park include several lakes, ancient temples and chhatries. The park is famous for its friendly Royal Bengal Tigers which have become accustomed to the presence of human beings in their surroundings. 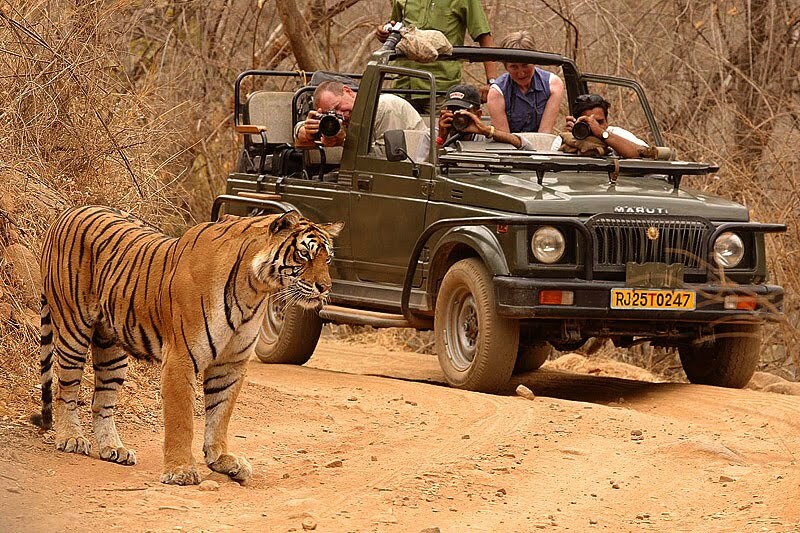 Plan your Ranthambore wildlife tour with our customized packages. The bordering railway station is Sawai Madhopur, 11 kms away from the park, which is well connected with around 50 trains. 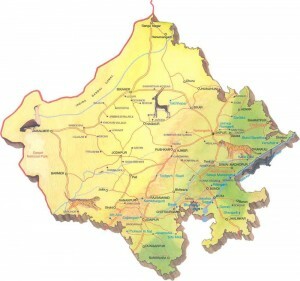 The nearest airport is Jaipur which is located at a distance of 130 kms. The Ranthambore National Park is located in close proximity of the historical Ranthambore Fort which has lately been declared as a World Heritage Site by UNESCO. Spread over a wide area of 392 sq kms, it is distinguished as one of the most popular tiger reserves of India. The strategic geographical location of the park makes it feature a vivid topography which comprises of deep gorges, turquoise lake and dense forestation. The Ranthambore Fort is situated atop a hill and provides an aerial view of the entire park. The Fort has been declared a World Heritage Site by UNESCO. The fort is dotted with many historical and architectural sights which make for the great photography backgrounds. Explore the insides of the fort with the help of a guide which lend you a detailed knowledge and stories of the past. The Ranthambore National Park features an extreme climate which is extremely cold during the winter season and equally warm during summers. The summers at the Ranthambore National Park are punishing as the visitors are exposed to scorching heat. The temperature sees a high rise during the summer and sometimes reach 46°C while in winters the minimum temperature recorded in this area is 23°C. During the monsoon season, which falls between the month of July and October, the park remains closed for the visitors. Winters at this park are rewarding as they make for a favorable time to explore the rich flora and fauna present inside the park. During this season the temperature varies from a maximum of 32°C to as low as that of 4°C. Situated in the midst of Aravali Hills and Vindhya Plateau, it provides for a typical topography featuring high cliffs, rocky plains and dry deciduous vegetation. 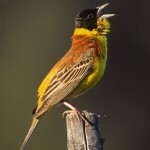 This popular national park is home to a wide variety of wildlife. 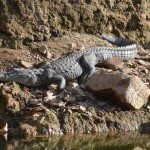 The vast area of the park is home to more than 12 species of reptiles, 30 mammals and 250 bird species. Mammals: The wide landscapes of Ranthambore have now been featured in a quite a few National and International documentaries . 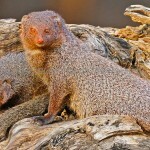 The prime animals to be found inside include Nilgai, Sambar, Sloth Bear, Jackal, Mongoose , Sloth Bear and Hyena. Reptiles: The various species of reptiles found in the natural surroundings of the park include Ganga Soft Shelled Turtles, Snub Nosed Marsh Crocodiles, Tortoise, Cobras, Common Kraits, Vipers, Banded Kraits, Desert Monitor Lizards and the Indian Chamaeleon. 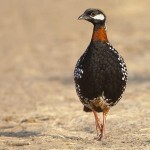 The Ranthambore National Park is home to over 250 species of birds which makes it for the paradise for bird watching. 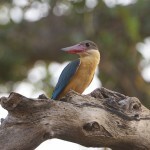 The various birds found in this wildlife sanctuary include Blue Breasted Quail, Black Francolin, Darters, Red-Crested Pochard, Black-Headed Bunting, Egrets, Herons, Eurasian Wryneck, Stork Billed Kingfisher, Bee Eaters, Great Crested Grebe, Eagles, Flamingos, Ibis, Pelicans, Storks and many more. Safaris are the best way to explore the park. There two vehicle options available for Safari. Either enjoy it sitting on a gypsy which has a capacity to accommodate 6 people and the second option being an open top canter which comes with a seating arrangement of more than 20 visitors. The safari rides in Ranthambore National Park are provided in two shifts. While the first shift of the safari takes place during the morning hours around 7:00 AM and the second in the around 2:00 PM. It takes 3 hours and a half hour to completely explore the park through these safari rides. At one time only 20 vehicles are allowed inside split along 5 different zones. The traffic in the park is highly regulated and private vehicle is not allowed inside the park. All Indian Nationalities can avail the safari excursion inside the park at a nominal amount of INR 75 and INR 78 per person for safari in canter (diesel engine) and canter (petrol engine) respectively. While the Foreign Nationalities will spend INR 478 and INR 475 respectively for the same . To enjoy a safari ride in the open top gypsy Indian Nationals will need to pay INR 131 and INR 135 for Diesel Gypsy and Petrol Gypsy respectively. An additional charge of INR 330 is needed to be paid while collecting the boarding pass at the entrance of the park. Since the Ranthambore Tiger Reserve features an extreme climate it is advised to carry light clothing during the summer season while warm clothes should be carried during the winter season. One should try to incorporate natural colors in their clothing which can easily blend with the natural surroundings as this will not disturb or distract the animals. Carry any one of your identification proofs which will be required at the time of booking while the foreign tourists would be required to carry their passport for identification purpose at the time of booking and entering the park. Camera Fees are to be paid at the counter from the boarding passes are collected or at the entry gate of the park. 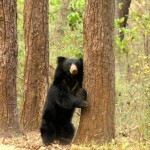 Also read about Top 10 Wildlife Sanctuaries and National Park in India.